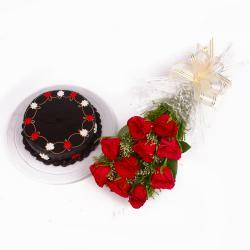 Product Consists: Bunch of 6 Red Roses along with Half kg Eggless Chocolate Cake. This gift combo will definitely add a special touch to occasions like Birthday, Anniversary, Just Because, Navratri, Children Day. 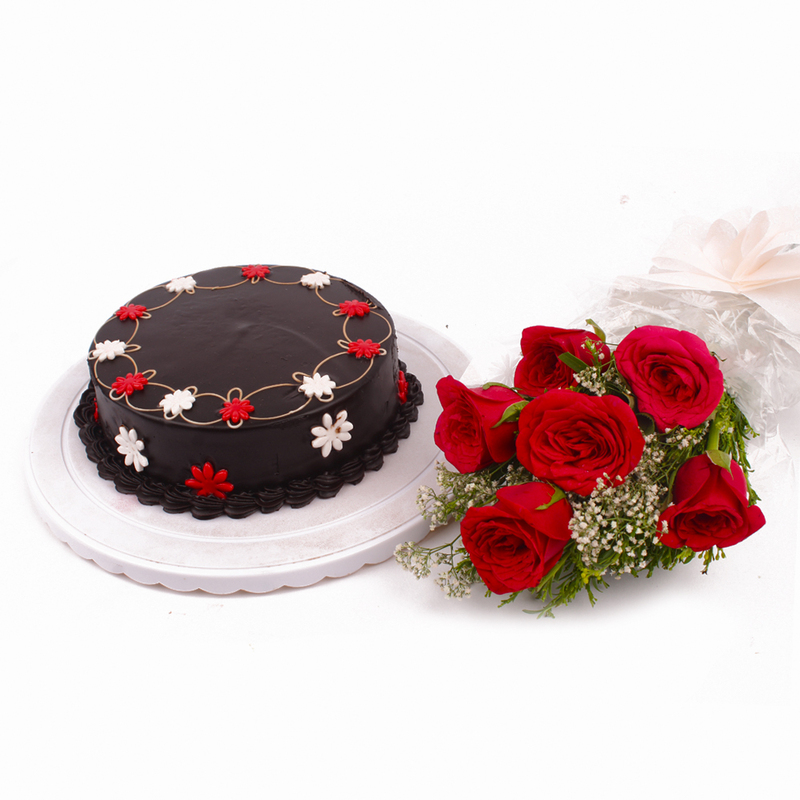 This combo contains beautiful red roses which have been elegantly packed in cellophane and comes with a matching ribbon bow for company. This combo also contains a super tempting Eggless chocolate cake which will definitely add a sweet dimension to every occasions. You will find it really hard to resist this combo without a doubt. Thus send this hamper and bewilder your loving Indian counterpart along with other Gifts to India through Giftacrossindia.com. 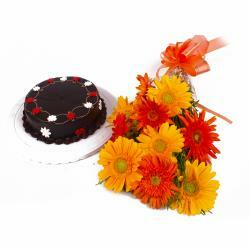 This gift hamper contains : Bouquet of 6 Red Roses along with Half kg Eggless chocolate Cake.